Dr. Latisha Webb, a grounded theorist, shares her research with the world, Discovering the Authentic Self: The Concurrent Processes of Being and Becoming, in a way that anyone can relate to. A transplant from VA to Philadelphia, Dr. Webb quickly became known as a ‘community leader’ to some, and a ‘marketplace elder’ to others. She brought about a sweet savor to community activism in Philadelphia when she met her 'good and perfect gift from above'. “And the two became one…” describes the intertwined lives of Dr. Webb and her husband and life partner, Elder William Webb, IV. They have over 25 years combined experience in the human services field, and co-own Webb Enterprises, a professional cleaning business, and co- founded a non-profit organization titled, Opportunity, Inc. 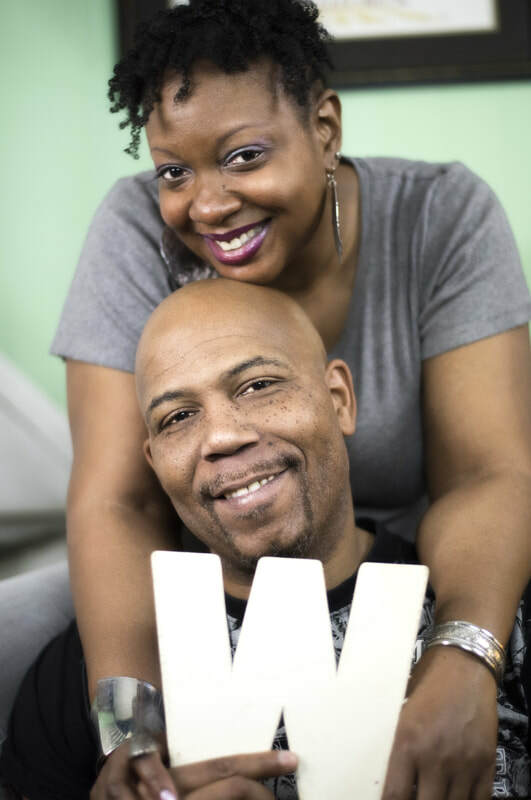 In addition, they co-authored the book, The Authentic Love Experience: Pillow Talk Topics for Couples Who Desire a Holistic Relationship. Elder Webb and Dr. Webb also co-host events, workshops, and workshops on several topics, including the overcoming sexual trauma in intimate relationships as featured in the Oct 2013 issue of Essence. Whether its through one of her books, YouTube vlogs, journals, mentoring relationships, individual sessions, Authentic Love Experiences, or deliberate dialogues, Dr. Webb possesses the ability to challenge those who interact with her to be authentic. Her goal is to liberate others on all 6 dimensions of the authentic self so they can shift paradigms about self, heal past hurts, and envision and co-create a future of purpose and destiny. Pulling on her background as a survivor of childhood sexual trauma, life-longer learner, human services practitioner, community worker and educator, therapist, and researcher, Dr. Webb's faith, personal candor, and genuineness catapulted her into a world of community activism and humanitarianism. Dr. Webb is grounded and remains connected to God, her Life Source; William, her life partner; and the individuals she mentors; her purpose. Her unique gift is her ability to be transparently authentic.